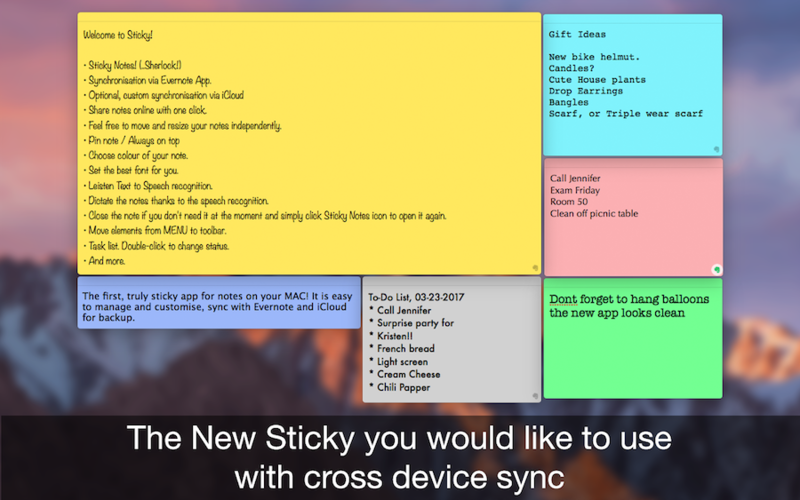 The first, truly sticky app for notes on your MAC! 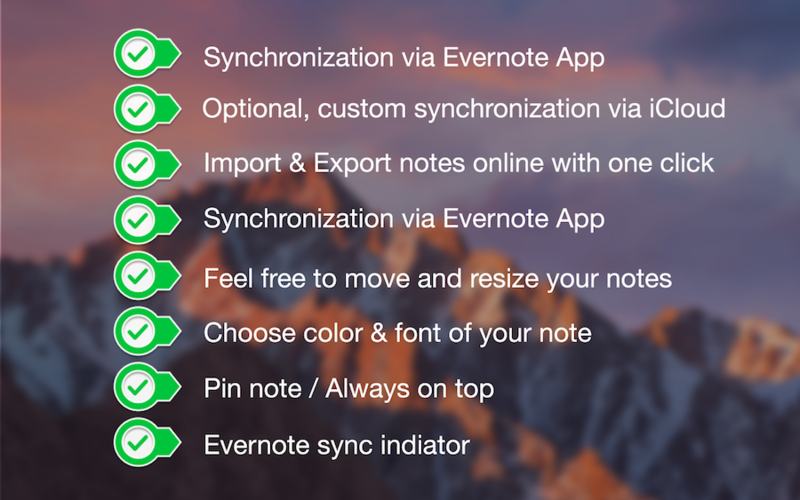 It is easy to manage and customize, sync with Evernote and iCloud for backup. 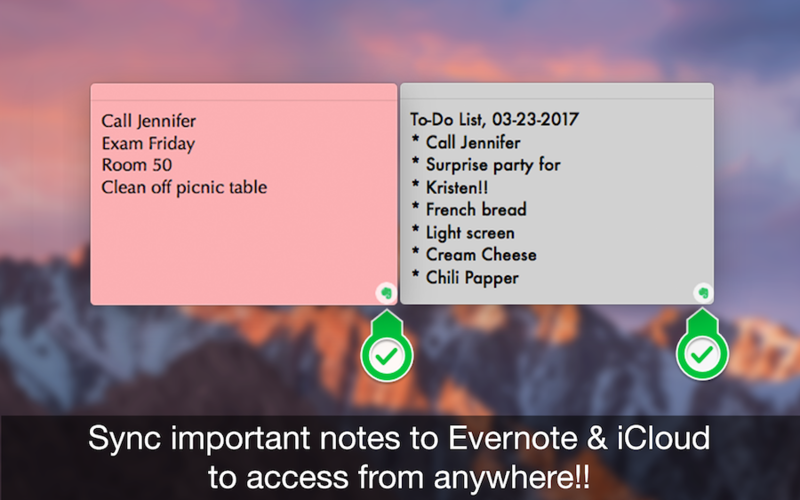 Word about permissions: The Sticky Notes app uses your Evernote & iCloud space and to sync notes between Evernote account. It cannot access your private files only those created by itself.